I need to add cables connecting Mega Man to Nate/Chadling's body. It's on my to-do list. 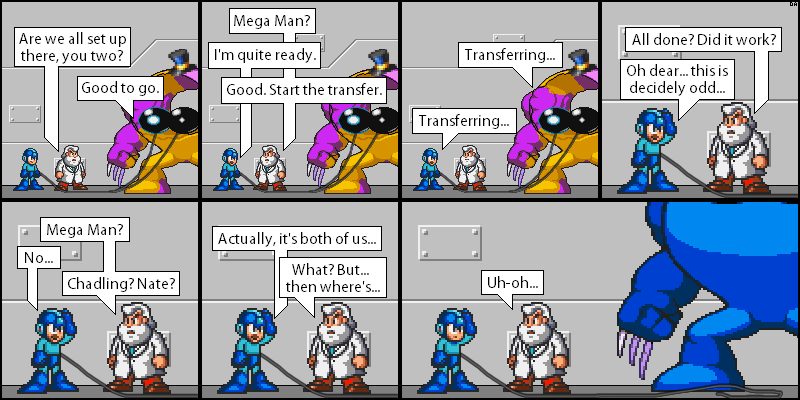 This is supposed to be the payoff for the earlier comic in which Mega Man gets punched in the head by Dr. Light, once again turning him evil. As such, he was biding his time until he could transfer himself into a Demon's body, where he could really wreak some havoc.